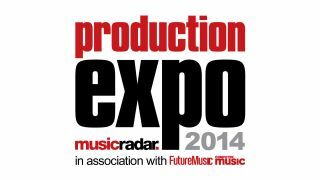 After a great debut show in 2013, the MusicRadar Production Expo will return later this month. Running in association with Future Music and Computer Music magazines, Production Expo 2014 is shaping up to offer you a variety of free, essential video lessons, interviews and tips features to improve your production skills, and video demos of essential music production gear. Over the next few weeks we'll be announcing more about the free video lessons you'll find at this two-day online show - including a series courtesy of Point Blank - as well as some of the awesome producers behind them. We will also let you know which music producers we have secured for interviews, and which gear brands will be taking part in the show and hosting cool video demos of their essential music production gear and accessories. Production Expo 2014 will run in association with Future Music and Computer Music on Wed 24 and Thurs 25 September, right here on MusicRadar.